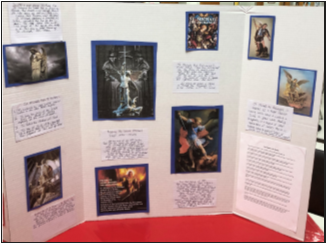 Thank you to all Parents, Sponsors, Catechists, Parishioners & Fr. Barr for coming out to support the Confirmation Students on their Saint Projects. 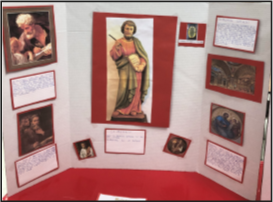 The Students did a great job on all their research and presenting of their Saints. 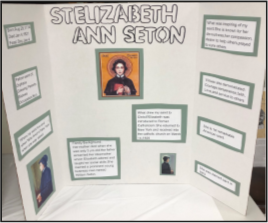 Many were asked questions on how and why they chose that particular Saint. 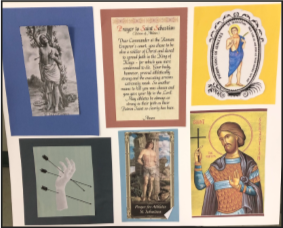 Confirmation this year will be Wednesday, January 23, 2019, at 5:30pm at St Mary Church. A special thanks to all that provided the treats. Everyone enjoyed them. Categories: Announcements, Catholic Life, community, events, Fe, religious education | Tags: Freeport IL, RE, saints | Permalink. Matthew Talbot was born in 1856 to a poor family in the North Strand area of Dublin, Ireland—the second of 12 children. His father was a heavy drinker, as were most of his brothers. Categories: Catholic Life, Fe, News, Reflections | Tags: Alchoholism, faith, hope, repentance, saints | Permalink. Vianney Performance Thank You The Vianney performance was without a doubt an exceptional event. The audience consisted of visitors, children, and many parishioners. It was a top quality performance and a true life story about a parish priest who became the patron saint of all parish priests. It was performed here, in Freeport, on Vianney’s 200th anniversary of becoming a parish priest for Ars, France. It was very inspiring, soul wrenching, enlightening and totally on mark with current events. Leonardo Defilippis did a Q&A after the event and he was very welcoming to this parish. He gave all he had for the performance. He and his stage manager were a true joy to work with. 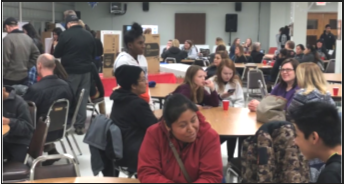 There were many people and organizations that came forward after the sponsorship list had been printed for the program, and who aided in making this event possible. At this time, I wish to express my appreciation for their generous support in helping set-up and tear down, as well as, their sponsorship. There isn’t enough room to mention all of them, but I would like to take this moment to thank some of the sponsors: Attorneys Ed & John Mitchell, Randall J. Manus, Esquire, Mr. & Mrs. James Scholtz, in memory of Margret Scholtz, Professor Joseph Vu, Luke Beggin of BTL Capital Management, and the Marian Society. You helped God touch many souls that night. Through your act of kindness and financial support, others have benefited by your good heart and giving nature. The graces that flow into the community will mostly be unseen. But God always rewards those who serve Him. May the angels of God always assist you! 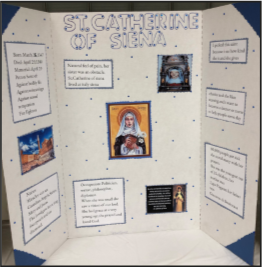 Categories: Announcements, events | Tags: play, production, Saint Luke Production, saints, St John Vianney, St Joseph Church freeport, thank you | Permalink. Pope Francis noted November 18, 2017, beatification of Fr. Solanus Casey, who took the next step toward sainthood in a huge event at Ford Field in Detroit. “Humble and faithful disciple of Christ, he was distinguished for his tireless service to the poor,” the Holy Father said. “May his witness help priests, Religious and laity to live with…. Categories: Fe, From the Bishops and the Pope, News, Pope Francis | Tags: beatification, Detroit, Fr Solanus Casey, saints, United States, USA, Wisconsin | Permalink. Pope Francis on November 8, 2017, authorized the Congregation for the Causes of Saints to promulgate Decrees regarding several causes for sainthood. The Holy Father made the announcements in audience with Cardinal Angelo Amato, S.D.B., prefect of the Congregation. Prominent among the decrees is that for Pope John Paul I. Categories: Fe, From the Bishops and the Pope, Pope Francis, Uncategorized | Tags: canonization, decrees, Pope, Pope Francis, Pope John Paul I, saints | Permalink.